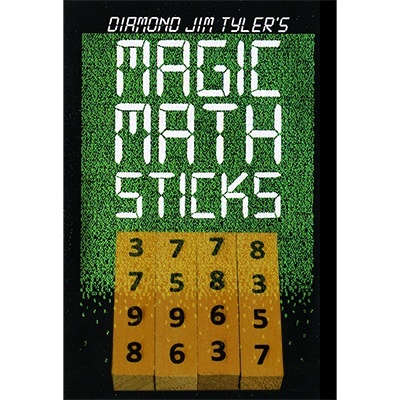 The magician introduces four wooden math sticks used in elementary schools to teach arithmetic. Each stick has four sides with four digits running in a column down each side. The spectator arranges the sticks in any order and calculates the sum. Before they can punch in the first set of numbers into a calculator or write anything down, the magician, like a superhuman computer, predicts the sum or calls it aloud. This can be repeated many times with a different result. Read a review. For $1.00 more you can add a little satin bag to carry and help protect them. If you like mathematical effects, then you’ll love my Bamboozlers books which feature many. The books also contain lots of magic effects, puzzles, brain teasers, practical jokes, one-liners and much more!! These four wooden sticks, made from maple, are each two inches long and half an inch wide. This effect can be done with one, two, three or all four of the sticks. 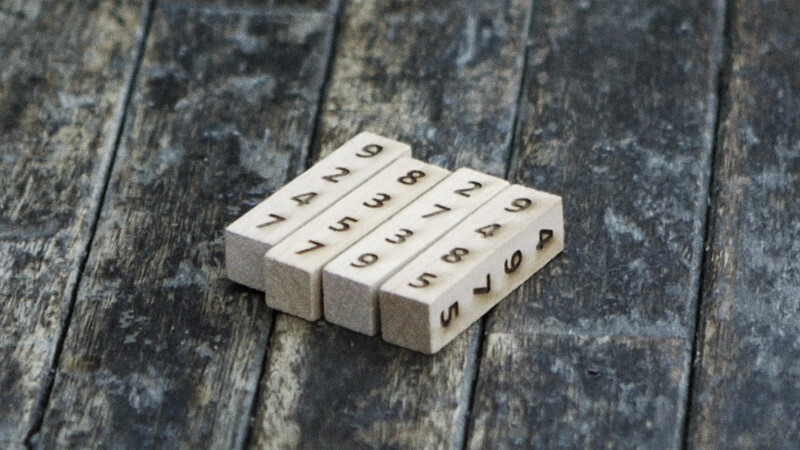 Each of the four numbers down each side is embossed into the wood. As a bonus, the magician can also calculate the sum of the numbers on the back of the sticks. 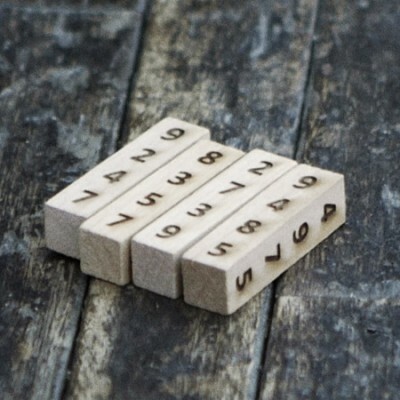 The simple design makes it look like an educational tool and not a magician’s prop. You’ll have a lot of fun with this pocket-sized effect. Made in the USA. Buy TWO SETS of Magic Math Sticks and one can add up to eight sticks together. The effect still works and creates a total in the millions or hundreds of millions!